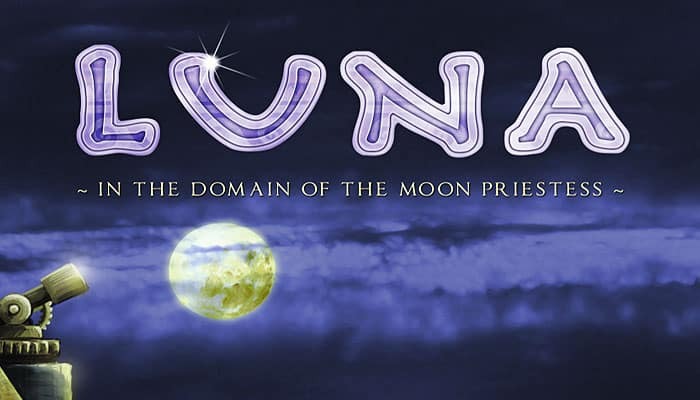 Soon the time has come: Our worshiped Moon Priestess Luna will choose the Order that will decide on her successor To be worthy before Lunas eyes, my Order sends me on a trip to our Holy Isles. On the evening of a long day we finally completed the new Shrine on the Library Isle, The Master Builder made sure we worked as hard as we could! Still, I'm not done for today: My Order sends me on a journey to the Tidal Isle - there I have to ask the local Priest for advice. Thanks to an Herbal Potion, I'll get there by rowboat before dawn. Also, the arrival of Luna has been announced. I so much hope to finally participate in her Service! Unless, of course, our Abbot gives me some other work. There's so much to do and there are only so few of us! I guess, we should recruit some new ones". "lunch time - I've received news that, at the request of our Abbot, the Tidal Priest wants to send me to service in the Moon Temple! What a great honor - and so important for our Order! On the other hand, though, I'll miss Luna's service again. Time's up and I've to leave for the Temple. Why, whatever our Abbot wants me to do, I'll always subordinate myself to the great goal". "The end of her regency is nigh. It's time to clear the way for a new bearer of the burden. She will keep a wary eye on the novices representing their Orders and trying to win her favor. Eventually, she will have to come to a decision. Which Order will prove itself worthy to decide on her successor? There will be a new Moon Priestess and she will bear the title: LUNA". The players move their novices over seven islands surrounding a temple island. The novices are placed according to the "worker movement" principle, i.e. they aren't placed at the beginning of a round, but instead start where they ended the round before. Thus, novice movement is an important part of a round: Only if you're in the right place at the right time, you'll gain the deciding influence points. You'll have to build new shrines, work at the temple, and participate in the Priestess' divine services. But don't forget to recruit additional novices or win the favor of the local Priests; these are vital means to prepare and combine the diverse actions. The solo game is based on a 2-player game. You play against a virtual opponent that follows certain rules. Your objective is to gain more influence than he does. Your final score is the difference between your score and his score. Setup a 2-player game, but place only 1 Favor token on each Isle and do not use the Time tokens. Do not place any Novices in the Temple, yet. This is done in the Preliminary Round.